The package includes a small glass pot with 3 grams of product as well as a "ultra fine" liner brush to create a defined eye. 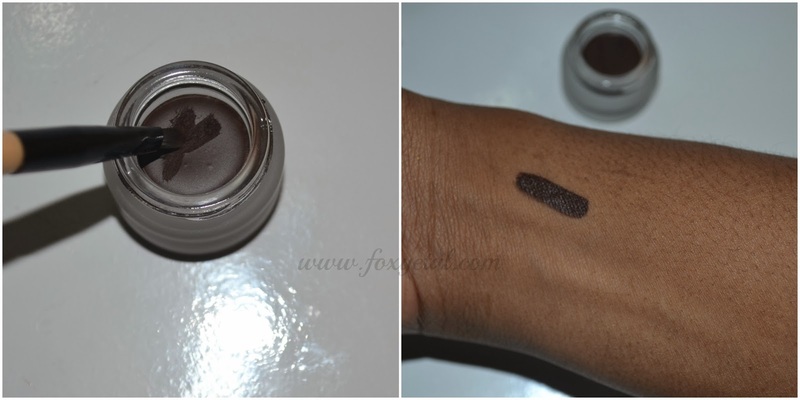 The packaging indicates the shade is dark brown but its not excessively dark which is good in my opinion as it doesn't make my brows look too intense to the point of being harsh, it also keeps my brows in place but doesn't make them hard. In terms of texture it has a creamy consistency and is very easy to manipulate,however this liner like most gel-based products dries fast therefore you have to work quickly in order to achieve optimum results.. The packaging of this product describes it as eye liner that won't budge and is transfer resistant once it has dried and although this is not 100% true it does last a very, very long time with minimal transfer and/or fading . This gel liner is definitely now a staple for me and I haven't been using a pencil to fill in my brows since purchasing.I will continue to use it until I decide to take the plunge and try the Anastasia Dipbrow Pomade.I definitely recommend anyone who is on a budget and is obsessed with sculpted/defined brows to give it a try,once again LA Girl has not disappointed me and I cannot wait to see the new products that they will have for the upcoming spring/summer season. Do you prefer a pencil or gel based product for filling in your brows? 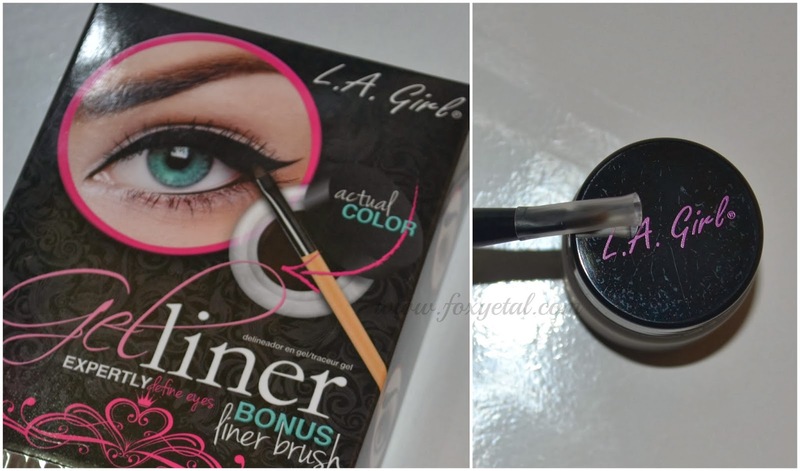 I love L.A Girl products especially their eyeshadow. Their products are rich yet affordable. I prefer a gel based product for my brow because it doesn't look harsh. Pencils always look harsh on me even when I brush and blend my brows. L.A girl is moving on up in the world. They remind me of the way Wet & Wild improved over time.